This video interview of the late William Pawelec by Dr. Steven Greer, referred to in his recent talk on the Secret Government, explored here, has been highlighted in an article this past week (excerpted below) by Dr.Michael Salla of Exopolitics.org, Siemens Implicated in Tracking Forced Labor and Slaves in Space, which explores whistleblower testimony regarding forced labor in space, but also explores Siemens’ role in early manufacture and developing of RFID chip technologies. Many thanks to Dr. Michael Salla, whose article is excerpted below, please visit Exopolitics.org for the full article. The tiny Siemens chips made in 1984 that he refers to (see below) could be detected and read from a distance of 120 km away, he said. 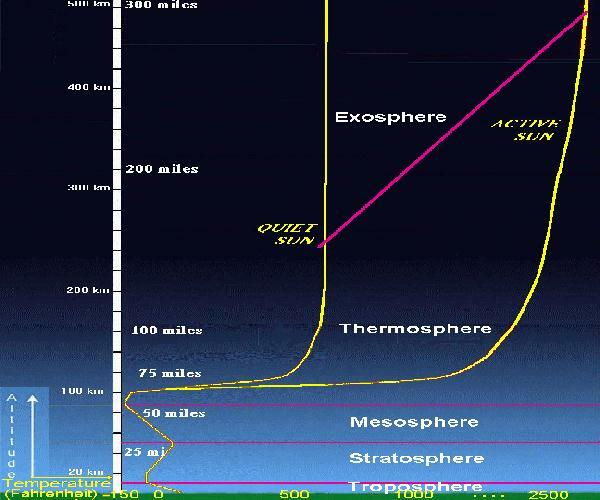 This translates to about 400,000 feet or 75 miles, well above the altitude most commercial jets fly at (30-40,000 feet) or even fighter aircraft (50,000 feet or above), well above the stratosphere and into the thermosphere. Consider: Low-flying aircraft studding our skies these days, circling our neighborhoods in long low sweeps at night and by day–particularly those neighborhoods hosting activists, citizens, and veterans being c/overtly assaulted in classified Mind Hacking human experimentation projects--flying anywhere from 500 to 3000 feet, or even commercial aircraft flying by steadily in a diverted stream anywhere from 1,000 to 10,000 feet, often reported by those being assaulted as part of aerial stalking scenarios, would not have any trouble communicating with such long-distance chips. Of course, other tracking and surveillance technologies are reportedly being used from these airborne platforms too, including Radar, and Remote Neural Monitoring. Remarkable though that microchips of such sophistication have been in existence for more than thirty years now– and important information to have, to show proof that microchips that can be read from thousands of feet or many tens of miles away have indeed been developed, fine-tuned, and exist. “Prior to 2001, Pawelec decided to reveal what he knew about deep black projects that he believed were hiding advanced technologies from the U.S. public. He gave an interview to Dr. Steven Greer with the strict instruction that it would only be published after his death. He died on May 22, 2007 and the video was published posthumously on December 14, 2010. Among his many revelations is information concerning the development of the first electronic RFID tracking chips that were developed as early as 1979 according to Pawelec. He explained the history of their development, and the role his Denver-based company played in setting up meetings with government agencies, which were interested in using the chips for security purposes. At the time in the security industry, a lot of us had a lot of concerns about tracking and locating people that had been kidnapped. Particularly what was going on in Europe at the time where we were having NATO officers, even the Prime Minister of Italy, kidnapped … These people were drained [of information] or they were brutalized or both… One of the goals of the industry was to develop technology that would allow us to track these people or locate them quickly. Now this particular pill shaped device, very minute, had a lot of flexibility in its capabilities. It was basically almost a transponder. You could send a frequency to it and it would respond back with its unique number which could not be changed once the chip was made. Yet there were a lot of capabilities that could be added to this chip such as monitoring temperature, blood pressure, pulse, and even wave forms out of the brain. Pawelec said that soon after demonstrating an even more sophisticated lithium niobate chip in 1984, which could be tracked from a distance of 120 kilometers in space, he discovered a small Silicon Valley company had been set up to manufacture billions of them. He learned that “after they had made billions and billions of these little chips” the factory was shut down a year later, and all information about the chips disappeared. Pawelec went on to describe how his colleague, Bob, the former head of security for the U.S. State Department, was assassinated in Nairobi because he was getting too close to learning about the people that had acquired control over the tracking chips and had built billions of them for an unknown purpose. According to Pawelec, the people behind Bob’s assassination had infiltrated the U.S. military industrial complex at its highest level, and could intimidate and silence anyone. Pawelec’s testimony suggests that the Siemen’s corporation had acquired the rights and control over the tracking chip technology, built billions of them in less than a year using a U.S. subsidiary, and then arranged for the local manufacturing plant to close with all information about the tracking chips now gone. Importantly, the Siemen’s corporation was associated with a powerful force embedded within the U.S. military industrial complex, which was intent on hiding the true purpose of the chips. This hidden force possessed the power to remove anyone who got too close to learning the truth, even the head of security at a U.S. Embassy. Please continue reading at Exopolitics.org. This entry was posted in electronic surveillance, RFID Chips, Secrecy, secret human experimentation, Surveillance, Targeted Individuals, targeting individuals, US Govt and tagged Covert RFID Implants, Dr. Michael Salla, Dr. Steven Greer, Exopolitics.org, forced labor, Microchips, secret space program, Siemens, slave labor, William Pawelec. Bookmark the permalink.